Originally from Durham, I have recently relocated back to the North East, having worked as an orchestral and chamber musician, as well as a soloist, in London for the past decade. 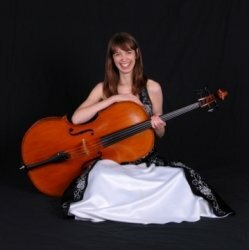 Teaching has always been an important part of my career, and I have over 10 years experience of both large and small group, as well as individual, cello, violin and viola teaching. I am also a qualified teacher, and through this have gained knowledge of how students learn, and how learning an instrument can benefit all areas of life, no matter what stage of life you are at. With pupils aged from 3 to 70 years old, and a 100% exam pass rate, I believe I can help every student to progress and be proud of what they achieve. I teach with the knowledge that every student learns differently, and adapt my teaching to suit them. However, I believe that, no matter what age you learn or standard you are at, it should most definitely be fun!